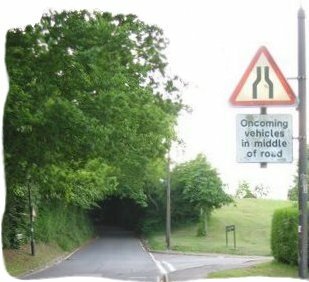 A web-site created to record and appreciate the phenomenon that is urban country lanes. Urban country lanes are original rural roads that have survived urbanisation. As cities develop and expand they consume the countryside around them and in doing so, inherit their roads. Such roads are normally altered to adapt them for urban life - soft verges replaced, overhanging trees removed and the surface widened to accommodate the increase in traffic. However, as developers advance a city piece-by-piece, estate-by-estate, sometimes the roads on the edges of each new development are overlooked. Put to one side and forgotten, rural lanes that originally lay on the border of a city become cut-off from the countryside altogether. And so fragments of the countryside can be found deep within the heart of a city. This web-site aims to track down urban country lanes in cities across the UK. With the help of people across the country I hope to develop a database of all urban lanes, their locations and where-ever possible, photos of the throughfares. A form to submit a new urban country lane to the database can be found here. My tour of country lanes in South Birmingham, which started this whole site, can be found here. Site designed, owned and maintained by Stephen Battey.